New Construction 3 Bed/2 Bath wide condo in Lincoln Park with treehouse views! One of a kind unit with unheard of 400 sqft rooftop deck on the garage + large balcony off the unit! 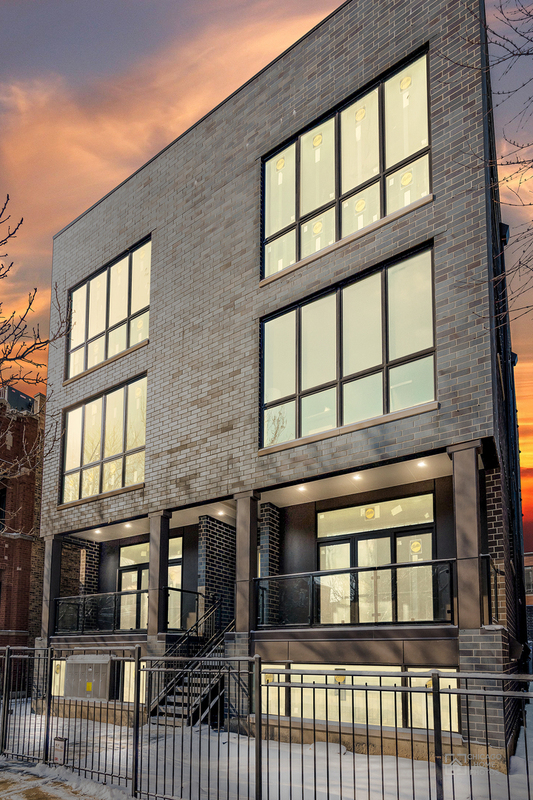 This boutique 6 unit building is nestled on a tree-line street amongst million-dollar homes. These contemporary condos have designer appointed lighting & finishes. Highly coveted open concept & expansive ceiling height. Kitchens w/flat panel custom cabinets, Thermador appliance package, quartz counters & backsplash. Entire unit has wide plank hardwood floors. Master suite with WIC & over-sized steam shower, radiant heated floors & floor-ceiling tile work. Additional features include all brick building, washer & dryer & 1 car garage spot. 1 block to Wrightwood Park. Close to the highway, shopping & eateries. Prescott School District. This model unit is ready to purchase or there is still time to pick out finishes on other units. Delivery 45-120 days. Be the first in years to own a new condo on this block! Property information last modified by seller on Monday, April 30, 2018, 04:00 PM CDT. Information Deemed Reliable But Not Guaranteed. Unauthorized duplication, use, or linkage is prohibited. The information on this web site is for personal, non-commercial use and may not be used for any purpose other than to identify prospective properties consumers may be interested in purchasing. Monthly Payment Calculator results are for illustrative purposes only, not a financing opportunity; calculations assume a 30-year fixed-rate mortgage and do not include closing and other costs. Property Tax on NEW properties is estimated at 1.5% of Listing Price for payment calculation purposes; actual value may be higher or lower.